I bought these for one project (shooting a wedding from inside a shark tank), tested them in my pool, shoot cancelled and now they just sit. I feel like I'll regret this, but want to move the money into other gear. 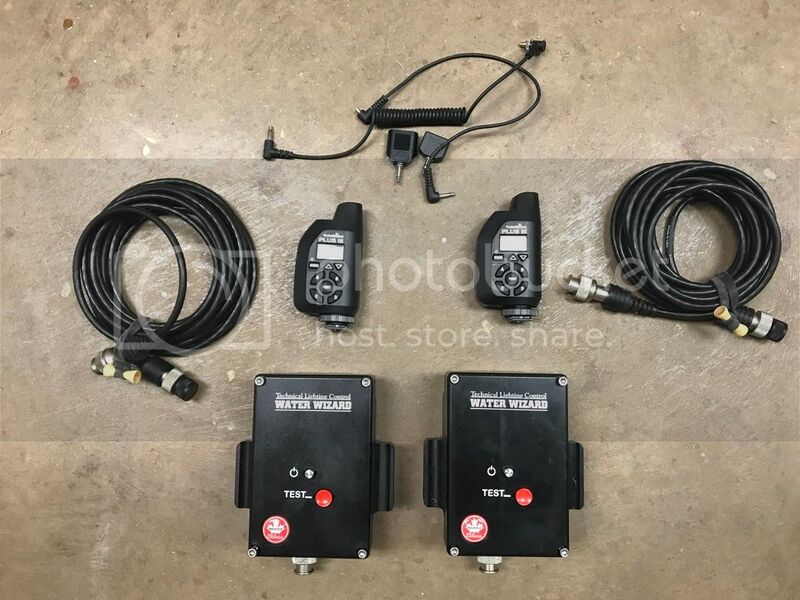 2 Water Wizard housings: $260 each. $500 for both. They are $320 new right now at Backscatter. 2 Pocketwizard Plus 3's: $90 each. $160 for both. They are $125 new right now at BH. 2 15' Ikelite extension cables: $70 each. $120 for both. They are $99 right now at Backscatter. Or take all of it for $700. Shipping included to the US, can work out international. Thanks, please let me know if you have any questions!